John Kerry Excludes Jewish Victims from Paris Attack Anniversary! You are here: Home / Antisemitism / John Kerry Excludes Jewish Victims from Paris Attack Anniversary! At first glance, the statement appeared to be remembering the victims of the Paris triple terrorist attack that took place, and that’s commendable. But something is profoundly wrong with that statement, not so much in what it says but in what it failed to mention. This was a case when silence spoke louder than words! Mr. Kerry is mentioning the 17 victims and how their tragic death united France and the United States, and continues to do so in our on-going fight against terrorism. 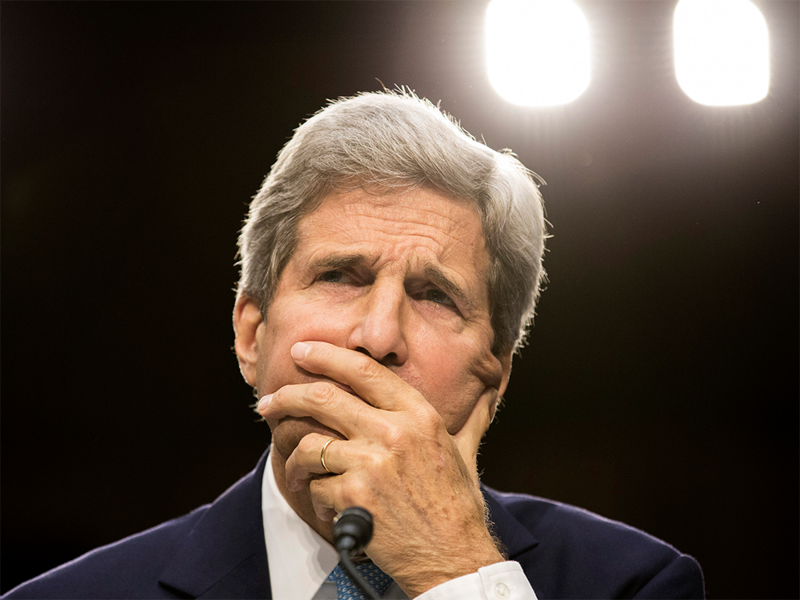 But why is Mr. Kerry only mentioning the Charlie Hebdo magazine? The 17 victims were made of 3 groups: 12 victims from Charlie Hebdo, one police officer on the street and four Jewish shoppers at a kosher supermarket. There is no mention of the police officer or the four Jewish victims. The whole tragedy is bundled under the Charlie Hebdo massacre. It is not my intention to belittle the magazine’s 12 deaths or the police officer’s death, but the attack was more than an attack against freedom of the press. It was also an attack against freedom of religion. I have no doubt that if the terror attack of January 2015 in Paris had only been against the four Jewish shoppers, there would have not been a 4 million people march in France the following week-end. Similarly, outside of the French Jewish community, the Toulouse attack of 2012 by Mohammed Merah is mostly forgotten, yet it took the life of 7 people, including a rabbi and 3 Jewish day school children. In the recent statement by John Kerry, I don’t believe that not making reference to the Jewish victims was an oversight. He, along with the vast majority of the current U.S. administration are no friends of Israel and the Jewish people. It would have gone a long way if the Jewish victims had been acknowledged along with the police officer and the magazine. Instead, a blanket statement was made, only connecting the event to the magazine. After all, it was President Obama who right after the attack, described the Jewish victims shopping at the kosher supermarket a few hours before Shabbat as” a bunch of folks in a deli in Paris” who had been “randomly shot.” This is either a lack of sensitivity or a severe disconnect with reality. There is no doubt in everybody’s mind that the terrorist Amédy Coulibally picked the Hypercacher store on purpose. It was a Jewish store where Jewish people shopped for kosher food, especially on Friday afternoons before the Sabbath. 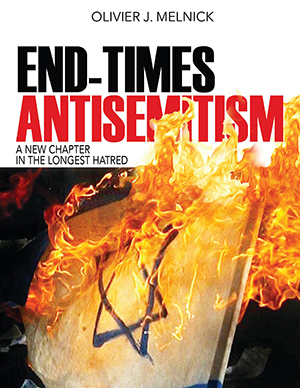 The world is used to antisemitism by commission when Jewish people are ostracized, demonized, persecuted and even murdered. This is a form of hatred that can be measured in a tangible way. A stabbed person, a defaced Jewish tombstone or a burned synagogue door are all visual witnesses of antisemitism by commission. But when the Jewish people are categorized as regular folks after an antisemitism attack, re-labelled or totally ignored when they should be remembered as victims, it is antisemitism by omission. Most people already don’t care much about the devastation brought in by antisemitism by commission. They certainly will not pick-up on the subtle approach of antisemitism by omission. Too bad Mr. Kerry. You had a simple opportunity to not only align the USA with France in the fight against terror but also reach out to the French Jewish community at a time when they don’t feel much friendship from most of the world. By generalizing your statement, you ignored the French Jewish victims and offended them. I wonder…. was there any other group you cared not to offend by leaving the Jews out of your statement? No accident. Administration-wide hatred of Jews, Christians & Israel is apparent. Even if confronted, he’d just say it was a “simple mistake”, guaranteed. I don’t believe that for one second. Any chance given is taken to belittle the plight of Jewish proper everywhere. I think Mr. Kerry represented the U.S. as a whole very well. After all he is our representative appointed by God. And again he represents us well. Muslims in the U.S. out number Jews in the U.S. and the Muslim vote is important to politicians. It’s also becoming more important everyday. Besides that there is no outcry by the Jews in the U.S. therefore no harm-no foul. Silence = Consent. Silence = Consent would also apply to the majority of the global Islamic population who consent to anti-semitic remarks and attacks. But I won’t consent to letting another human disregard the plight of the Jews when they obviate their delusion by posting such crap as you have. Kerry is not an elected representative, and speaks on behalf of the USA for INTERNATIONAL matters, and is NOT a politician insomuch as we regard the American politician. Thus, he should be concerned with the loss of ALL human life, and endeavour to tell the truth as much as he is able given his sensitive post. Silence=Consent right? Did you forget your geography? This regards France, French Jewish middle class citizenry, not Mr. Money Bags Sheldon Adelson or J STREET, etc. He’s has no concerns for an Islamic vote, he’s got concerns for an Islamic wallet. By refusing (AGAIN) to acknowledge the antisemitic nature of these attacks, refusing to acknowledge 33 percent of the victims, and refusing of acknowledge they are only perpetrated by Muslims, he consents by his silence. speak for yourself! He doesnt speak well for me! Thank God there are fewer of our Jewish brethren in the United States and in Europe also, because that only reinforces End-Time prophecy when God gathers “HIS Elect from the four corners of the earth…and brings them back into the Land.” A loving Father does not want His children scattered among the nations when He brings His terrible retribution upon this earth, including the good old U.S. of A! One can almost hear the footsteps of Messiah. How we treat Israel and the Jewish people is the way God will treat us. I want to be told that I did right by our Jewish brethren. May He continue to bless Israel. This actually answered my problem, thankyou!